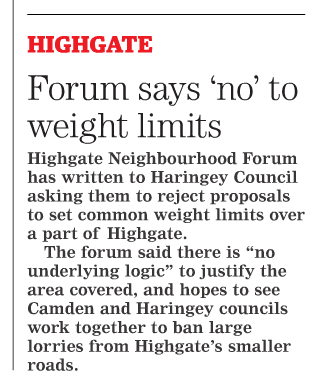 Some will have seen or heard that Haringey consulted in July about setting common weight limits for traffic over a part of Highgate. The Forum has written to Haringey to say that the proposal should be rejected. Currently the weight limit signs (applying to through traffic) are a mess in Highgate. There are many examples of stupidities. Heavy vehicles seem to be allowed to travel west along Hampstead Lane but not east! And HGV u-turns are apparently required at many points around Highgate as signs “suddenly” appear. Richard Webber (a member of the Forum committee) has highlighted some in a wonderful article explaining the background to this issue. The note is still evolving as we discover more! There is no doubt that the mix of weights on the signs and the failure to create a “cordon” means that no enforcement can take place in Highgate as things stand. The Councils need to sort out this very long-standing problem. The Councils need to work together as signs are needed, for example, in Camden to warn traffic that there is a weight limit on Highgate West Hill. 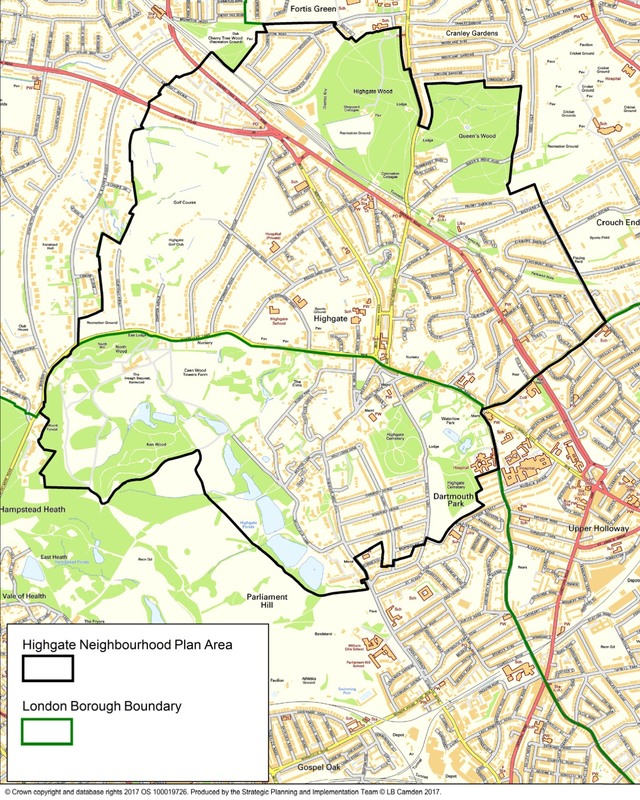 Despite the desire to get to grips with the issues, the Forum rejected the proposal on the grounds that there is no underlying logic to explain the area covered – we’d be utterly unable to justify the inclusion of some roads and exclusion of others (Talbot Road and Cholmeley Park to mention two) are omitted. And, to pick up the Highgate West Hill example, as Haringey has not it seems worked with Camden, there is no plan to limit weight on the hill which in turn means that traffic heading north will arrive at the Flask, then be forced to head along South Grove and turn down the High Street to rejoin Archway Road via Cholmeley Park, Cromwell Avenue or the Archway gyratory. This is unacceptable. The Forum believes very strongly that all the forum area needs to have a limit set at the widely accepted 7.5 ton limit (except Archway Road, which is an arterial road and subject to different rules). For the record, the Haringey notices (which we cannot find on their website, and were not sent to the Forum) are here and here. We have asked that the council informs the Forum of all consultations in the future so that we are able to let residents and businesses know and can more easily facilitate feedback. A short consultation in a holiday period is also unacceptable. Questions remain about the enthusiasm of the Police and Councils to enforce the measures, but we need them in place first! Deliveries and emergency vehicles needing access will not be affected so it’s not the end of large lorries on our roads, but reducing traffic has to be a good idea, given congestion and pollution levels. We wait to see what happens next. We hope that Haringey and Camden will work together to ban large lorries from passing through Highgate’s smaller roads. We are delighted that the Ham&High (of Friday 18 August – see the digital edition) gave some coverage to our views.